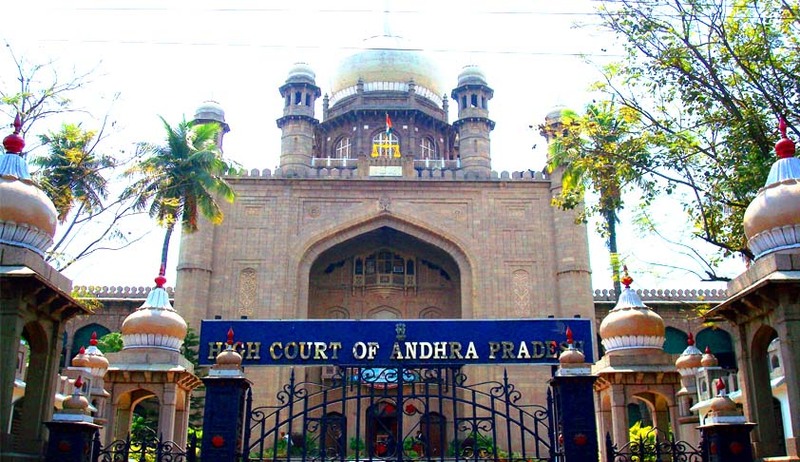 The Law Ministry has reportedly written to the Chief Justice of Andhra Pradesh High Court, for creation of separate High Courts for the new states of Telangana and Andhra Pradesh. Business standard also reported that separate committees for environment clearances to different industrial projects, will also be set up differently in the two states. In a circular, the environment ministry said the Andhra Pradesh Pollution Control Board has informed the Centre that it will forward names of the experts for constitution of State Environmental Impact Assessment Authorities (SEIAA) and State Expert Appraisal Committees (SEAC) after formation of new states. In May, the Bar Council for Andhra Pradesh was reportedly putting in efforts to establish a separate Bar Council of Telangana as well. The issue came up for consideration in a General Body meeting of Bar Council of Andhra Pradesh in April this year. A nine-member sub-committee under the Chairmanship of A. Narasimha Reddy was decided to be constituted. The committee felt it necessary to go through the previous bifurcations of Bar Council of the State of Bihar and Uttar Pradesh. In a meeting between the Sub-Committee of the Bar Council of AP and that of the Bar Council of India, the latter asserted that commencing a Bar Council for the state of Telangana might not be possible in the absence of a separate High Court. With this proposal for a separate High Court, the establishment of a Bar Council, as demanded earlier, might also be reach a concluding point. According to reports, advocates from Seemandhara region had also decided to constitute a Joint Action Committee to demand a separate High Court for the residuary state of Andhra Pradesh. They have decide to approach the President, the Prime Minister, the Chief Justice of India, the Chief Justice of High Court and other concerned, appealing for establishment of a High Court as soon as possible, by issuing the requisite notification under Article 214 of the Constitution. A 17 member ad hoc committee was constituted to demand a provision for providing house sites to the advocates who are working in the High Court, having membership in the High Court Advocates’ Association and to identify their children as AP locals. The strength of the two proposed High Courts has been increased to 61 judges. In the present Andhra High Court, there are 33 positions of permanent judges and 16 additional judges. The increase would result in 46 permanent judges and 15 additional judges. This comes in the wake of repeated efforts on the part of authorities to fill up vacancies in different courts, as well as the demand for additional courtrooms and improved infrastructure. Even the Allahabad High Court would, by December have the necessary infrastructure for 50 more judges to function efficiently. This step comes after the Chief Justice’s remarks over augmentation of infrastructure for the judiciary. Chief Justice R.M. Lodha had outlined a five point agenda with the new Government coming into power. One of the major agendas included augmentation of infrastructure and greater allotment of funds to be utilized for law and justice. Read the Live Law story here. Legal News India, Andhra Pradesh High Court News, Telengana.